A revelation in racquetball technology, E-Force's Apocalypse high-performance racquet is the end of times for your opponent! Featuring 2nd Generation Power Boosters, Hi-Octane Power Boosters® were enhanced and extended creating more power and stability over the entire hitting surface. The Apocalypse is all about power! Annihilate your opponent with the Apocalypse! Once again E-Force has released 4 different weights and 2 different shapes so there's a racquet for every player at every age. The 160 and 175 are quadraform shape and the 170 and 190 are teardrop shapes. They have 2 Quadraform racquets which are the 160 & 175 (Control w/power) weights and the teardrop racquets (Total Power) come in the 170 & 190 weights. The longer shaft creates more whip and power creating a more explosive racquetball. It also creates a more solid feel with less vibration, more stability and greater control. These are available in and 3 5/8 and larger 3 15/16 grip sizes. Previously, I had the E-force Exile. It was a ~$30 racket, but the quality was very good. It hit really hard, and was in general a well made racquet. The only problem was that it was horrible in up court, as it was too powerful to just tap the ball. This time I went with the Apocalypse and it is incredible. Quality is amazing, and it is very powerful (as long as you have proper technique. Additionally, it is incredibly accurate, and if you think of a play you want to do, you can usually do it. I am extremely satisfied with this racquet. Sometimes the smaller head size of the racquet (with some of the racket being covered with power boosters) can hurt you, but with practice and a bit of getting used to, you will have a lot of fun with this racquet!! E-Force has re-engineered the Power Booster and graphite composite frame system to create E-Forces most powerful and solid stable hitting racquet ever! The new Invasion X includes new Power Booster Technology... but it wasn't easy. The Power Boosters add power, but also weight. Up to 5 grams of weight needed to be eliminated from the graphite frame in areas where all the excess weight had already been eliminated to make way for earlier E-Force power inventions. E-Force engineering successfully solved the "problem-without-a-solution" by further redesigning the approximately 50 graphite piece frame structure. The result is a new graphite frame that adds the Invasion X's New Power Boosters without increasing weight or sacrificing balance and any of the many E-Force power technologies and play characteristics. Every year E-Force produces the most powerful racquets on the market and this year will be no exception. They have stuck with the same head shapes/weights of their previous year's Heatseeker Series but expanded their Hi-Octane Boosters from 7 strings to 12 strings on the E-Force Invasion Series of Racquets for more control and power. POWERHOUSE BREAKTHROUGH - In the past, all racquets had standard shaft lengths with whip and power. 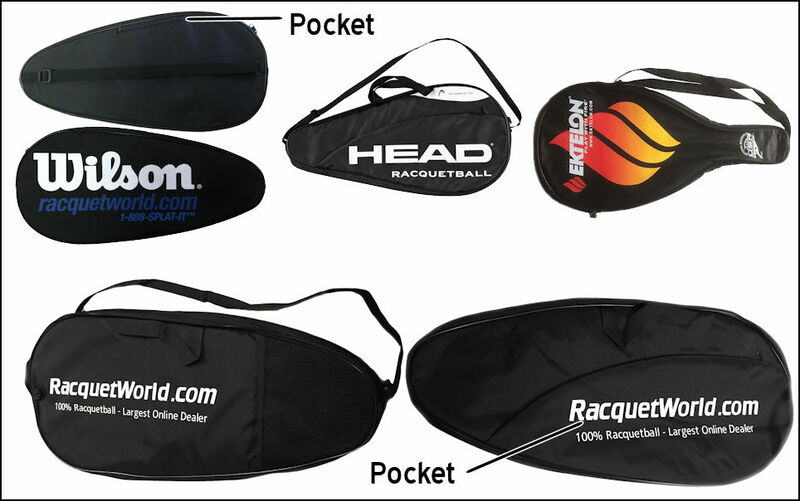 The introduction of 22" LongString Technology - available only from E-Force - changed racquetball withincreased power through the use of longer mainstrings in free space. Competitors responded by eliminating the racquet shaft and shortening the handle to allow slightly longer mainstrings, though far shorter than E-Force's. Now another breakthrough - E-Force combines the power of shafts with the power of 22" LongStrings in free space, for maximum power. Only E-Force has it.